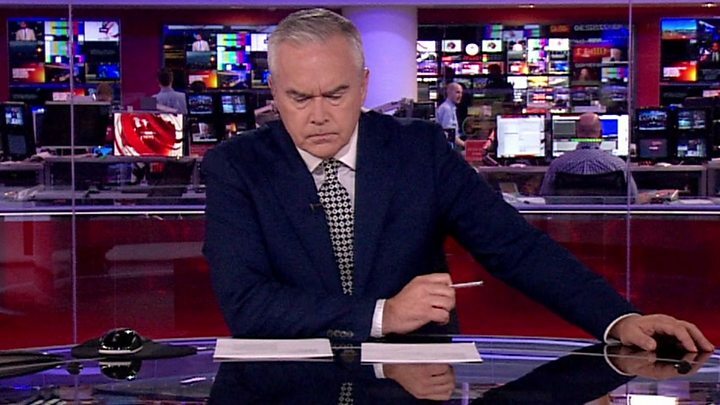 A technical fault temporarily halted the BBC News at Ten, leaving presenter Huw Edwards sitting in silence in the studio. Many people expressed alarm on social media when the "Breaking News" logo flashed up 11 times during the show. 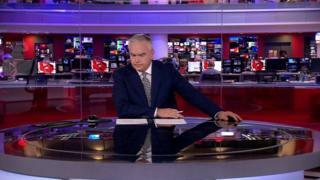 BBC News at Six and Ten editor Paul Royall said a "technical systems crash" caused the four-minute delay. Edwards later tweeted a photo of a can of beer, saying he was "going to enjoy this little beauty" after the bulletin. He told BBC Radio 4's The Media Show he had not initially known he had been on air - even though he had suspected he might be. Explaining what had happened, he told presenter Amol Rajan the studio's software system had "gone slightly crazy" moments before the programme had been due to start. "There was so much going on in the gallery that no-one bothered to tell me that I was actually on air," said Edwards. "That was a bit of information I could have done with. "But I had a sense I was, so I tried to behave myself." He said he had remained silent because he realised there were a number of platforms on which he could have been appearing, as well as BBC One. "I think it's important that the entire team knows what's going on," he said. "If the presenter starts to freelance in that way, it could cause massive problems." Some viewers used the #bbcnewsten Twitter hashtag to make light of the glitch. At 22:04 BST, Edwards wished viewers a good evening and said: "A few technical problems tonight for which we apologise".